If you do a quick search on Google, you’d find out that tanning lotions are the safest, cheapest way to get a good tan these days. That’s a no-brainer. Choosing the best tanning lotion product for you, however, is the hardest part. If you’d like to know which items are gaining the most attention among avid tanners out there, then all you have to do is continue reading. There are countless tanning products on the market and it’s definitely hard to choose from, especially if they’re in the same price range. 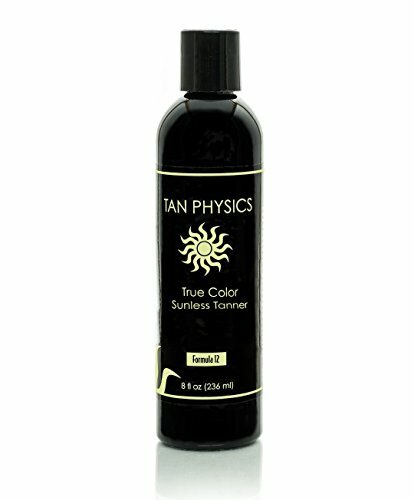 The Tan Physics True Color Sunless Tanner is one of the most popular tanning lotion products out there. Aside from being a tanning lotion, it also works as a moisturizer with anti-aging properties. This tanning lotion is formulated so that it leaves the skin with a gorgeous bronze shade, with an anti-aging effect and moisturizing element that not only hydrates but replenishes and restores the skin as well. The best thing about this product is that it dries faster than most of the other tanning lotions on the market. Also, the results of applying this lotion gives you a nice, light-medium colored tan. If you’re not into a darker shade, this is the tanning lotion for you. One of the things that make this product worth a try is that it works not only as a tanning lotion; it serves as a moisturizer and an anti-aging cream as well. For a tanner at its price range, that’s actually quite of a bargain. For those who are looking for a lighter shade than the usual dark bronze tan, this is the perfect product to use. Not only does it provide the gorgeous tanning shade that you expect, it’s also formulated to hydrate and replenish the skin, even restore damaged skin cells. Other tanners would require you to put a moisturizer on, but this bottle is a tanner, moisturizer, and an anti-ager in one. Another thing to love about this product is the fact that it stays on for as long as 4-7 days. That’s more than the average time for other products. Also, for this lotion, you don’t have to wait for it to wear off for you to exfoliate again and apply another layer. If you want to get a darker shade then you can apply more of it the day after. Its smooth gel consistency makes it really easy to apply and it isn’t as messy as other products, which have watery consistency. One of the most obvious drawbacks for this product is the smell. Unlike some of the products in the market, this tanning lotion doesn’t have the citrus-y or fruity scent that avid tanners love. The Tan Physics True Color Sunless Tanner smells kind of like a kitchen cleaner. If you check the list of ingredients, it actually has a citrus fragrance component, but it seemed as though other chemical substances in the mixture were more overwhelming. Some review even said that the smell intensifies after a while. But, it’s not as bad as you might think. If you don’t have a sensitive nostril, you might actually enjoy using this product. Well, in terms of price, there certainly are a lot of tanning lotions on the market that are almost half as expensive as this product. The Millenium Tanning New Paint It Black Auto-darkening Dark Tanning Lotion, for example, has half the price of this item for a bottle and that’s for 13.5 ounce, whereas this one is only 8 ounces. It may be more expensive, but it has superior qualities in terms of effectiveness and tanning power. It dries faster and it lasts longer than the other lotion. Considering the scent, a lot of people might prefer the product from Millenium because it’s more pleasant to smell. Both have almost the same consistency. But, if you are looking for a lighter tanning shade, this is certainly the product for you. The most common comment for the Tan Physics True Color Sunless Tanner is that it’s quite expensive. Actually, if you get to try it, you might be able to justify its cost. It is safer than most of the products on the market. There isn’t a lot of reported streakiness or blotchiness as the other lotions available at a cheaper price. All in all, it is quite a good deal at the current price per bottle. My name is Lori and I am the Senior Editor here at Health Headliner. I started as a make-up enthusiast, loved it so much I decided to take it up as a full-time job. I qualified from UEL with a degree in Podiatry but health blogging is what I enjoy doing. We’ve learnt a lot along the way and so will you!